More help for those researching the flood. These resources are some of the records, collections and archives about the 1889 flood that are accessible online through other organizations. A History of Johnstown and the Great Flood of 1889: A Study of Disaster and Rehabilitation by Nathan Daniel Shappee — This University of Pittsburgh dissertation (1940) is perhaps the best source on the Johnstown Flood. Through the Johnstown Flood: By A Survivor by Rev. David Beale — Published in 1890, this book is widely considered the best memoir of the flood by someone who experienced it. Princeton has made the title available in its online archive, and it is downloadable in a variety of formats suitable for e-readers and tablets. The Johnstown Flood of 1889 Digital Collection — This Penn Highlands Community College collection in the POWER Library includes photographs, monographs on the Flood, reports, and more. 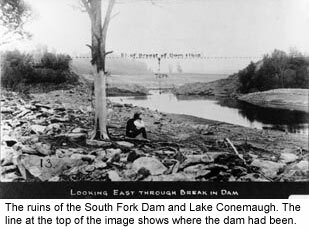 Suggested reading about the flood — This National Park Service list includes primary, secondary and third-level sources. Statements of Pennsylvania Railroad employees — The testimony of PRR employees was collected by John H. Hampton at the request of Superintendent Robert Pitcairn, beginning July 15, 1889. The investigators’ goal was to determine if the PRR was liable in any way for losses related to the disaster, and to prepare a defense against possible legal actions. The testimony has been placed online by the National Park Service. JAHA’s online education for the Johnstown Flood Museum — Three separate curricula have been developed, and all use extensive primary and secondary sources that are digitized here. Victim list of the 1889 flood — Click here to download a PDF list of flood victims, including their addresses, ages and burial places. The Flood History essays in the Johnstown Flood Museum portion of this website — “1936 & 1977 Floods,” “Facts about the 1889 Flood,” “The Club and the Dam,” “The Flood and the American Red Cross,” “The Relief Effort,” “Survivor Stories,” and “Remembering the Johnstown Flood” are presented here, along with a basic narrative of the disaster. 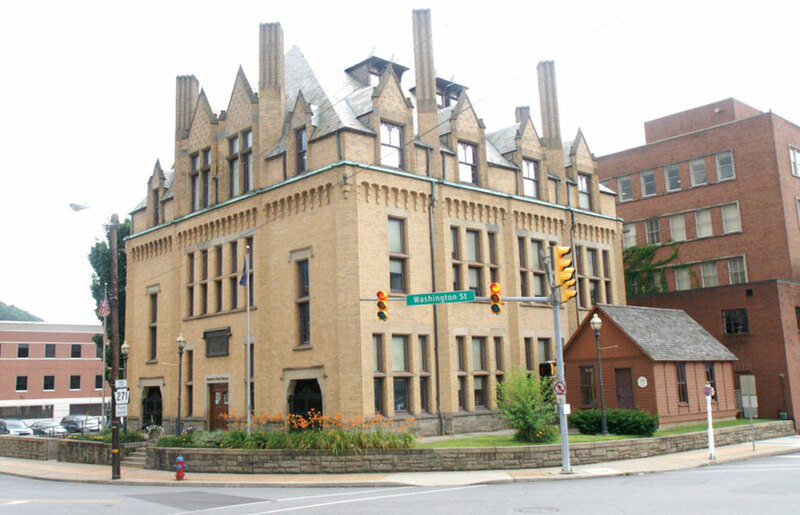 A Walking Tour of Downtown Johnstown — This online tour of the National Historic District of Downtown Johnstown includes information about the district’s most important flood-surviving buildings, as well as historic and contemporary photography of them.